Edith Holden was one of seven children of a British paint manufacturer known for his philanthropy and a mother who wrote two biographies of female saints. She grew up in the village of Olton in Warwickshire. She kept a nature diary, which she decorated with watercolors. After attending art school, she illustrated many books, including books for children. Her animal and plant drawings were especially successful. 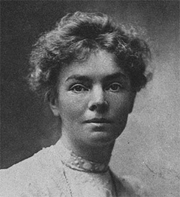 In 1911 she married Ernest Smith, a sculptor. The couple lived in Chelsea, then the artists' quarter of London, and associated with leading artists of the day. Edith was tragically killed in an accidental drowning in the Thames at Kew while trying to collect chestnut branches. She became famous from the posthumous publication of her Nature Notes for 1906 under the title The Country Diary of an Edwardian Lady (1977), which was a bestseller and continues to be popular. See also a biography of Holden by Ina Taylor, The Edwardian Lady: The Story of Edith Holden (1980). Edith Holden is currently considered a "single author." If one or more works are by a distinct, homonymous authors, go ahead and split the author. Edith Holden is composed of 7 names. You can examine and separate out names.